CAINE 10.0 has got a Windows IR/Live forensics tools. 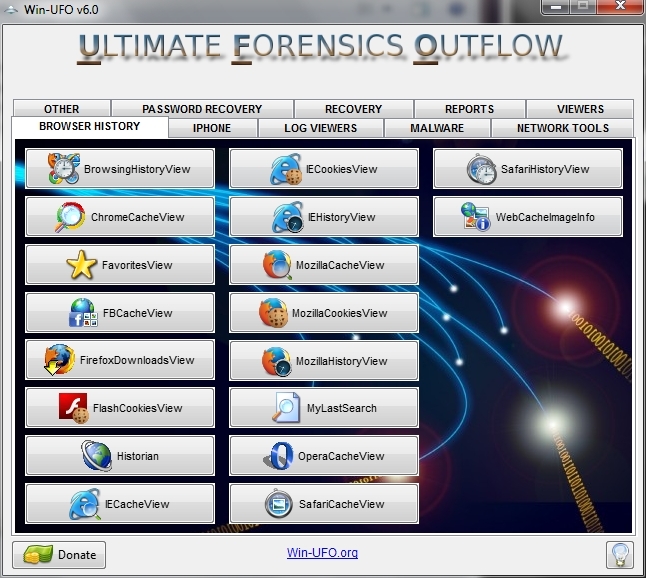 If you need it you can use the IR/Live forensics framework you prefer, changing the tools in your pendrive. 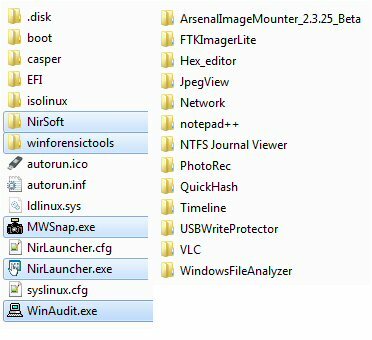 Tools: Nirsoft suite + launcher, WinAudit, MWSnap, Arsenal Image Mounter, FTK Imager, Hex Editor, JpegView, Network tools, NTFS Journal viewer, Photorec & TestDisk, QuickHash, NBTempoW, USB Write Protector, VLC, Windows File Analyzer. CAINE 9.0 has got Windows IR/Live forensics tools. WIN-UFO doesn't exist anymore, because his developer has closed the website, so you cannot download it anymore. When Win-UFO isn't ran as an admin, it displays a notice telling you how to run it as an admin. In the notice, it says Win-UFO will attempt to open the location where it resides. However, this attempt always failed. This issue has been fixed. NirLauncher by NirSoft new Windows Side of Caine! For running SYSTEM INFO button of Wintaylor 2.5.1 you have to rename /programs/tools/msix.exe in msi.exe. It's simpler than Wintaylor 1.5, easy to use and I developed the Nirsoft Mega Report an useful utility that uses many Nirsoft tools and generates an HTML report. Wintaylor 2.0 is designed for reaching the maximum compatibility and for the live analysis and Incident Response on MS Windows Systems. Do not put Wintaylor 2.1 in a directory named with spaces included! WARNING!!! : Many Firewalls and AntiViruses could give a fake alert message! The interface is structured in the familiar CAINE’s tabs style, and implements the well-known reporting system to record the investigative sessions.